I came across a book called "Die Strasse lebt" (the living street). 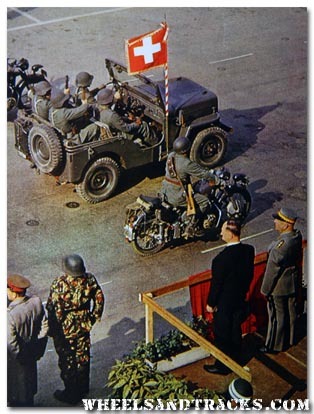 It was published 1964 by Nestle and shows some very interesting colored period images of the Swiss Army from the 1960s. 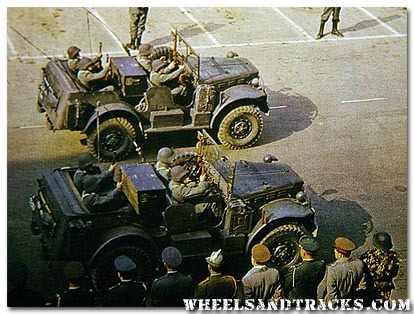 A Willys Jeep CJ-3B escorted by two Swiss built Condor A580 motorbikes. 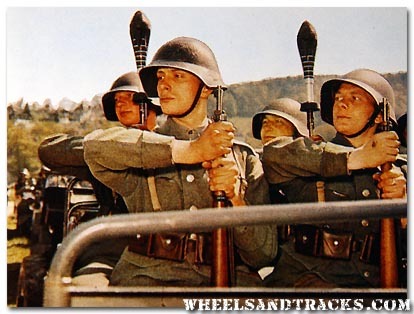 Swiss soldiers sitting in a Saurer 4CM or Berna 4UM, 4x4. 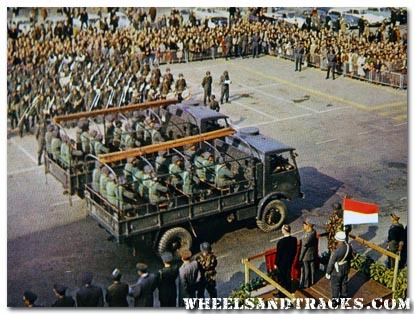 Dodge WC56 Command Car with radio equipment. 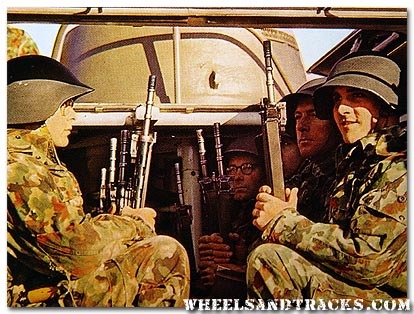 Soldiers sitting in a Saurer M4.